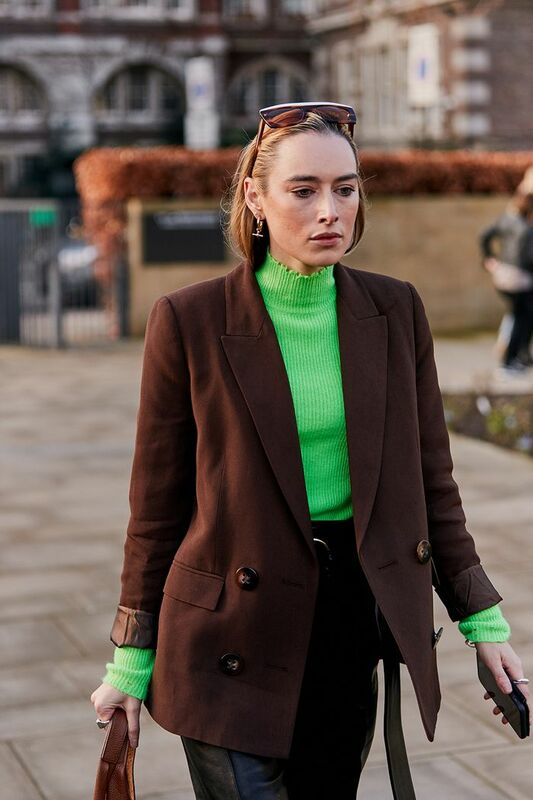 The humble long-sleeved top has never been the most exciting item of clothing in our wardrobes (it's too often sidelined along with other basics), but this fashion week, it had come out in Technicolour (quite literally in some cases), with new and exciting iterations taking centre stage. In stark contrast to the fashion girl's current penchant for muted tones and head-to-toe beige, the new top trends are colourful, wildly printed and packed with personality. From neon colourways to bohemian tie-dye, the joy of the long-sleeved top is that it can instantly elevate even the most traditional fabrics or sober suits. So easy yet effective. Herein lies the secret to pulling this bold trend off. Just look at Lisa Aiken, who makes a modest ankle-grazing, long-sleeved dress feel rebellious with Ganni's leopard-print mesh top. We've also noted that many street style stars have used a statement top to offset an oversized blazer. Layering tops has got to be one of the easiest trend updates for spring. Not only is it versatile, but it's also more affordable than a new-season jacket or dress. Even minimalists can get on board—just layer a black mesh top under your usual head-to-toe monochromatic ensembles. Scroll down to see our full edit of elevated long-sleeved tops that are set to spike in 2019. Style Notes: One of the more unexpected but most popular styles of fashion week has to be the neon roll-neck. 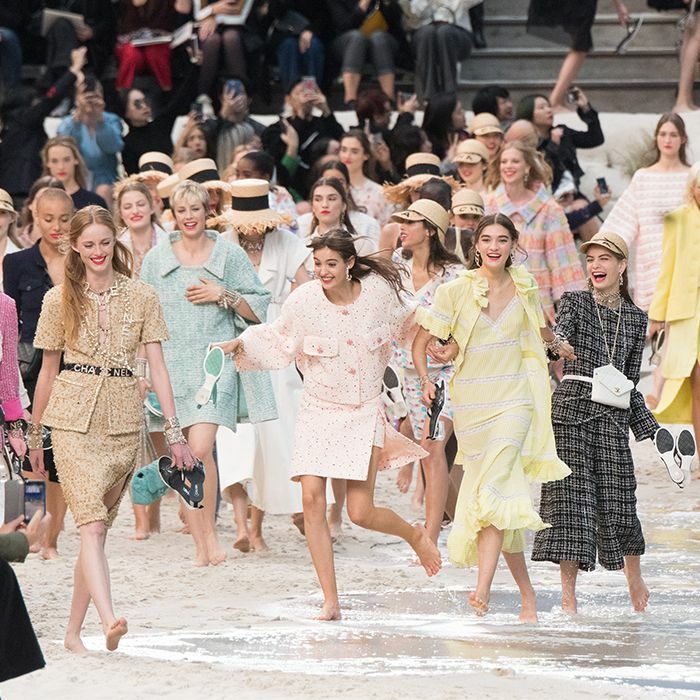 Uncertain at first, we've now been well and truly converted thanks to the chic, tailored looks of fashion's finest. Style Notes: There's something so romantic about the organza blouses that have sprung up this season. Generally rendered in bright hues, they look so fab with traditional prints (think heritage checks and tartan) and casual denim. Style Notes: The favourite bohemian print of the '90s has had a comeback for 2019, and a long-sleeved top is an easy way to include it in your wardrobe. Make like this showgoer and style with an oversized blazer. Style Notes: Ideal for layering thanks to their lightweight fabric, mesh tops have been our saviour over the colder months. If you're not comfortable wearing the trend in all its sheer glory, try layering one under a white tee.